The most beautiful place in the world for your ceremony . . .
to draw her lovers into close and confiding communion." 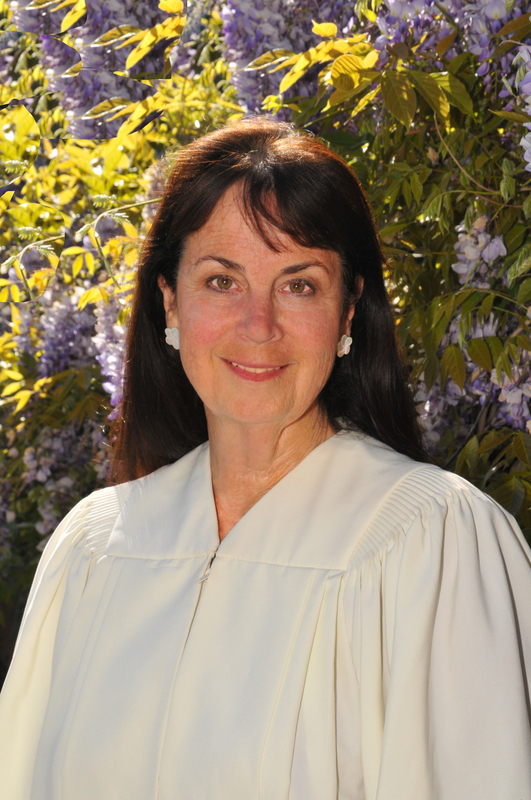 Hello, My name is Reverend Carol. I am a non-denominational minister, comfortable with ceremonies of all faiths. Though I travel all over the state, Yosemite National Park (nps.gov) is my backyard and a most breathtaking backdrop for your own very personal exchange of marriage vows. It is my greatest pleasure to help you create and customize a unique ceremony to make your special day its very best. Please feel free to email me or phone at any time if you would like me to officiate your special event. I can also send you free information on local photographers, places to stay, music for your wedding/reception, caterers, florists, or provide any other assistance you might need to make your wedding day go smoothly. Choose the historic chapel in Yosemite Valley, or a picturesque outdoor location of your choice. Your ceremony or vow renewal can be performed on the lawn of the famous Ahwahnee Hotel, (Majestic Yosemite Hotel) in a meadow with a view of the falls and Half Dome, or any other location in California. It's all up to you! Have you ever thought of getting married on top of Half Dome? Ask about our annual trip to the top each September! There are many beautiful locations within Yosemite National Park (3600 view), including the area near El Capitain, Glacier Point, along with many other spectacular, natural, scenic, and waterfall settings. Arbor Suite Accommodations - Beautiful honeymoon suite in the heart of historic downtown Mariposa, with dining and attractions within steps. Marriage License - The couple can visit the Mariposa County Hall of Records, in person with proper ID, prior to the ceremony and obtain a valid marriage license. Park Permit - All wedding ceremonies held in Yosemite National Park require a special use permit and the advance payment of a fee to the National Park Service (NPS). Professional Photographer - If you require the services of a professional photographer I would recommend Dan Warsinger. Dan has been documenting ceremonies in Yosemite National Park for over 20 years and is very reasonably priced. Yosemite Valley Chapel - If you would like to have your ceremony performed inside this historic chapel please call (209) 372-4831. A special use permit from the NPS is still required. 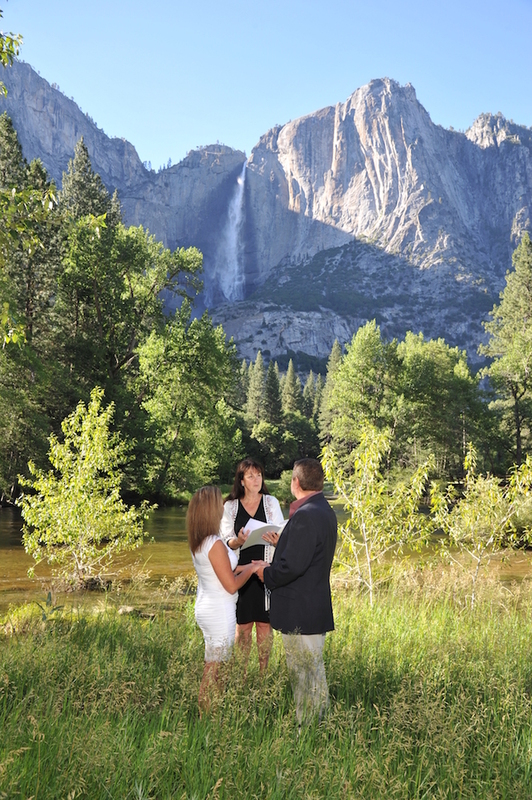 I would be honored to officiate your marriage ceremony or vow renewals in Yosemite Valley. In order to secure a date and time I ask for a $100 retainer towards the final cost of services, which is typically $395. If a rehearsal is necessary an additional fee of $125 is required. Please let me know if you have any questions or wish to discuss your upcoming event. I look forward to hearing from you and hopefully participating in your special day.